Visit to the Vatican City and its museums is one of the “must-see” during your trip to Rome. 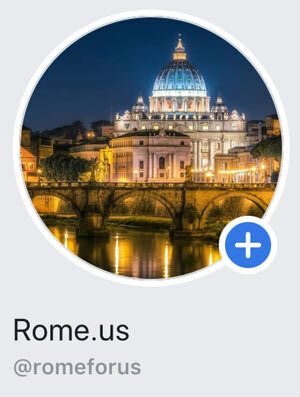 However, you should better plan your trip and since there are many tourists in the Eternal City, it is always better to buy tickets to the Vatican Museums in advance. 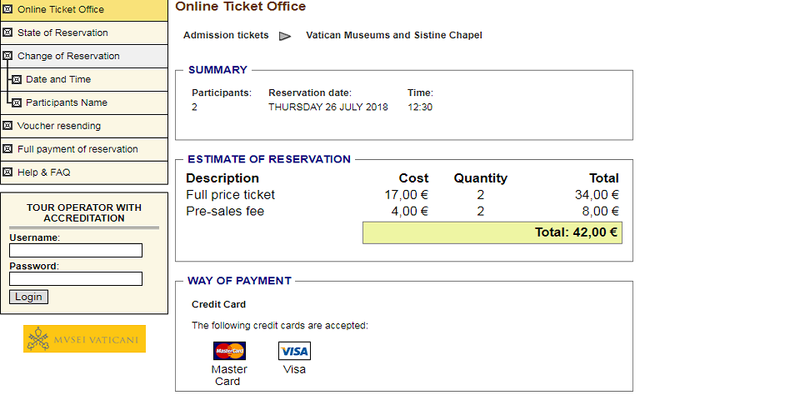 Here I will describe how to buy tickets to the Vatican Museums online without endless queues and in a time-savvy way. If you want to buy a ticket at the ticket counter, you will pay 17 euro (an adult over 18), but spend hours in a queue. 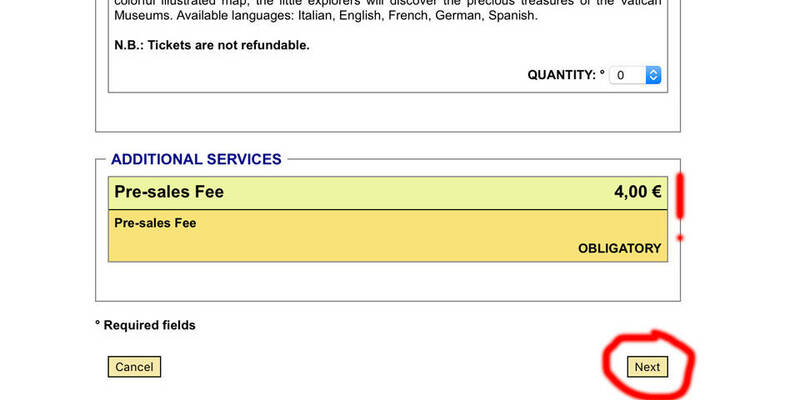 The price for online reservation costs 4 euro more, but it is worth to spend this amount. First, you have to select the kind of ticket you want (usually just “Admission tickets” and then choose among the days with availability). 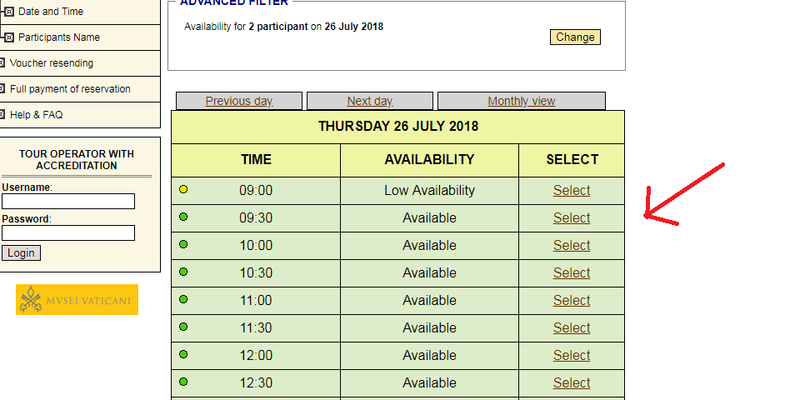 Time slots on the website are available every half an hour, starting from 8.30 am until 3 pm. Try to plan your trip 1-2 days in advance. Moreover, if your trip is during the high season, there will be no slots available for your date if you don’t purchase tickets in advance. In this guide we will consider purchase of tickets for 2 people. Next, you will choose the number of full-priced or reduced-price tickets. Also, you can pre-book the audio guide (you can even do it once you are in the museums). There are ten languages available in audio-guides: Italian, English, French, German, Spanish, Japanese, Russian, Korean, and Portuguese. Finally, you will have to accept the Conditions and insert the security code. 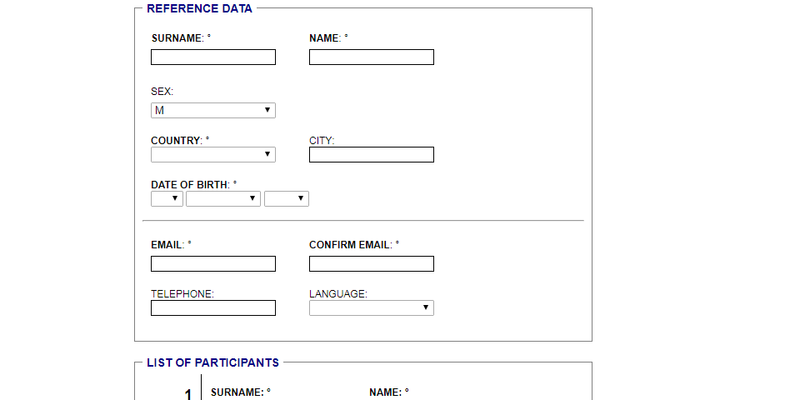 Then, click on “Accept the Estimate and Proceed with the Reservation” button. 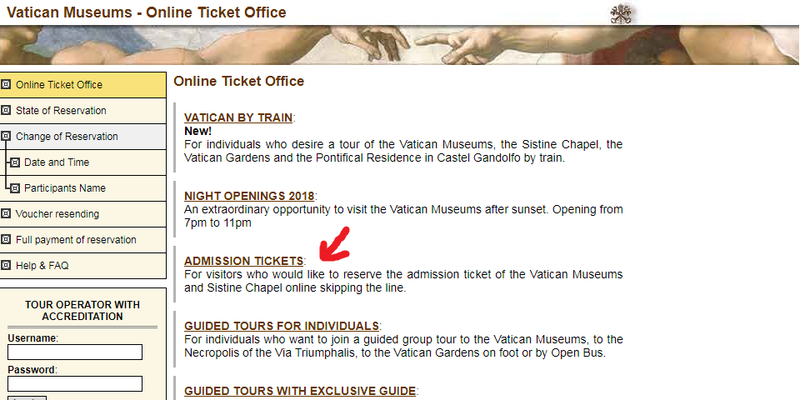 E-mail with the voucher for your ticket to the Vatican Museums. Print the first page of each ticket you purchased or save PDF file on your smartphone. 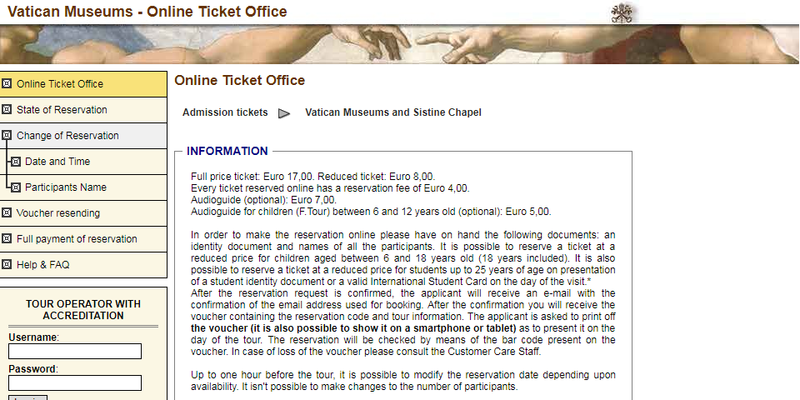 During the day of your visit, come on 15 minutes earlier and show your voucher at the entrance of the Vatican Museums. Once you pass through security, you have to go to the left, where you will see the “cassa” and change your voucher into an actual ticket. 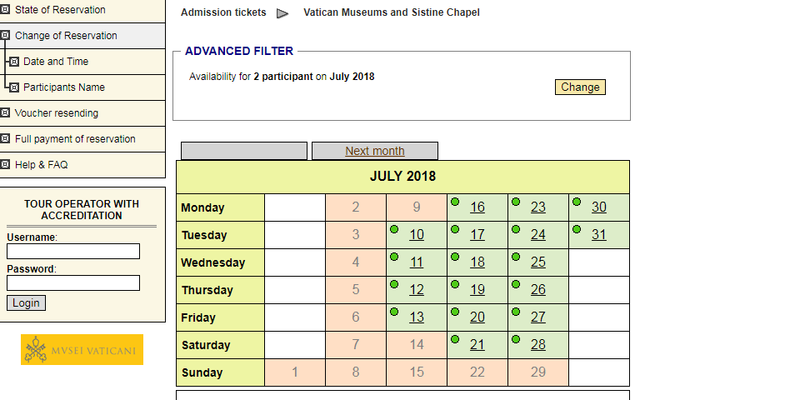 Don’t forget that on the last Sunday of every month (if it is not a religious holiday), the Vatican Museums open its door for free. However, during such days it works from 9 am to 2 pm only, with the last entrance at 12.30 pm. This option is attractive just in case if your budget is tight, but in another case, you should better avoid such days because of a massive crowd of people. There is a chance that you will stay in a queue so long that you don’t even get in by 12.30 pm. Children under 6 y.o, museum directors, some journalists and academics, people with disabilities and their companions go inside for free. However, there is no discount for seniors of any age. If you purchase a ticket with reduced price, you will need to show the proof of eligibility for the discount. And if it turns out that the evidence is not eligible, you will have to buy a new-full price ticket, while your discounted ticket will not be refunded. You can stay inside the museums as long as you prefer, before the closing time. On average, a visit lasts from 2 to 5 hours. The basic ticket does not include the audio-guide or any other tour. So that, there is another option to buy a group tour with a guide for 27 euro or to reserve a private tour at dawn for 3-4 people on our website. Vatican Museums’ collections include paintings from some of Italy’s greatest artists like Raphael, Michelangelo, and Caravaggio. Also, there is an extraordinary collection of Egyptian antiquities which include papyruses and mummies in their sarcophagi. 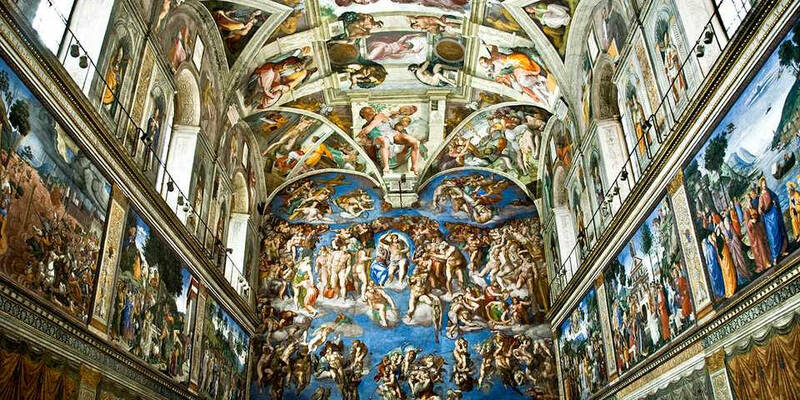 Many tourists visit Vatican Museum to see only famous Sistine Chapel without knowing what else to see there – it is big mistake! I urge you to read more about the Vatican Museums before attending it because there is an enormous number of exciting things that you won’t see anywhere else in the world. 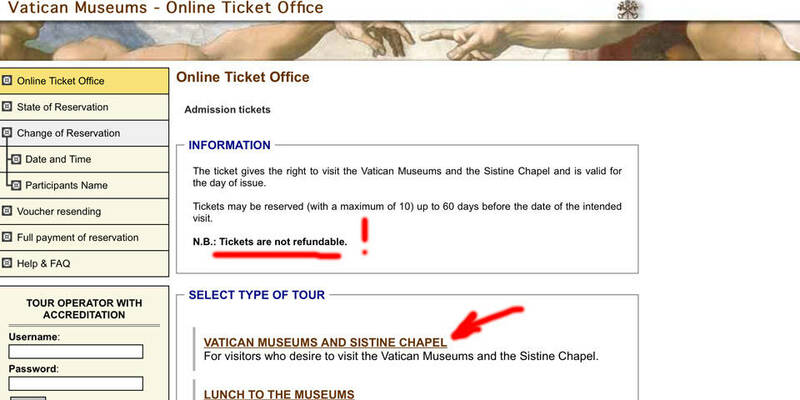 St. Peter’s Basilica is not included in the Vatican Museums ticket, it is a church. However, there is no fee to go inside. It is closed on Wednesday mornings during the Papal Audience and reopens around 12-1 pm on that day. If you are on a group tour, there is a privileged passage directly from the Sistine Chapel to the basilica. Undoubtedly, you shouldn’t miss the opportunity to visit the Vatican Museums. Trust me, it will be one of the most impressive adventures of your life.